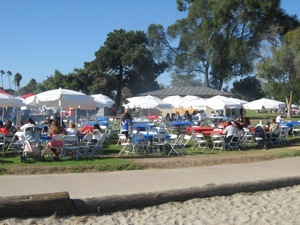 Mission Bay is a great place for a company picnic and offers the areas of Crown Point, Bonita Cove, Mariners Point, De Anza Cove, Ski Beach, Ventura Cove, Hospitality Point, Playa II, Model Yacht Pond, Vacation Isle, Sunset Point and Tecolote Shores. 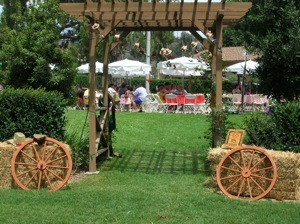 Great community and private parks that are perfect for hosting picnics and corporate events in San Diego are Santee Lakes, Poinsettia Park, Bayside Park, Tidelands Park, Kit Carson Park, Stagecoach Park, Montgomery, Waller Park, Rohr Park, the Jewish Community Center, Embarcadero Park, Robb Field, Lake Poway, Harry Griffin Park, Kellog Park, Morley Field, Standley Park, Spanish Landing, Voyager Park, Orfila Winery, Holiday Park, Brengle Terrace, Dixon Lake, Hazy Meadows Ranch and the Bates Nut Farm. Producing company picnics and catering for special events in the cities of Chula Vista, Carlsbad, Coronado, Del Mar, El Cajon, Encinitas, Escondido, Imperial Beach, La Mesa, Lemon Grove, National City, Oceanside, Poway, San Diego, San Marcos, Santee, Solana Beach and Vista. 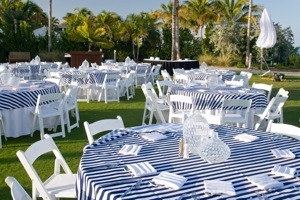 "We can‚t wait for the next opportunity to use your company at our next event. You are top notch."